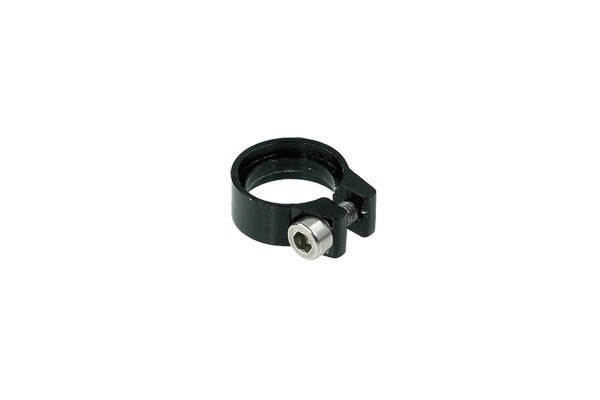 Hose clamp for fixation of tubing on barbed fittings without union nuts. The great advantage of barbed fittings is the larger inner diameter compared to compression fittings. Only the lack of additional fixation was a problem. But now these all-new hose clamps provide an optically appealing solution to the issue. Easy to install with a hexagonal socket screw, available in many colours and functional at the same time - the ultimate hose clamp!